Several large companies announced that they will increase their philanthropic activity and invest more in their workers—in the form of bonuses, higher wages, or additional hiring—after Congress passed sweeping tax reform legislation on Wednesday. Telecommunications giant AT&T said that it will give $1,000 special bonuses to more than 200,000 employees and invest an additional $1 billion in the U.S. shortly after both the House and Senate passed the Republican tax plan, which, among other measures, lowers the corporate tax rate permanently to 21 percent from 35 percent, as of Jan. 1, 2018. 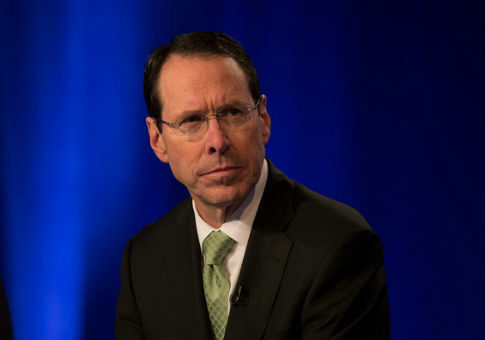 "Congress, working closely with the president, took a monumental step to bring taxes paid by U.S. businesses in line with the rest of the industrialized world," said Randall Stephenson, chairman and CEO of AT&T. "This tax reform will drive economic growth and create good-paying jobs. In fact, we will increase our U.S. investment and pay a special bonus to our U.S. employees." Aerospace company Boeing announced that, as a result of tax reform legislation passing, it will commit $300 million to "employee-related and charitable investment." The courier delivery services company FedEx, which projects that the legislation will boost annual profits by $1.3 billion, may hire additional employees and make other capital investments because of the tax overhaul. "U.S. GDP could increase materially next year as a result of U.S. tax reform," chief financial officer Alan Graf said, according to the Washington Post. "If this occurs, we would likely increase capital expenditures and hiring to accommodate the additional volumes triggered from this incremental GDP growth." Graf added that FedEx anticipates at least $5.9 billion in capital spending in 2018. Banks are also announcing plans to benefit their employees with the passage of tax reform. Wells Fargo said that it will raise its minimum wage for American employees to $15 an hour and increase its philanthropic giving by 40 percent in 2018 to $400 million. Fifth Third will also raise its minimum wage to $15 an hour for employees and give bonuses of $1,000 to more than 13,500 employees. "We want to invest in our most important asset—our people," said Greg Carmichael, president and CEO of Fifth Third. "Our employees drive our reputation, our business, and our success." Telecommunications company Comcast, which owns NBC, announced that it will give bonuses of $1,000 to more than 100,000 employees because of the passage of tax reform. The bonuses will all go to non-executive employees. This entry was posted in Issues and tagged Boeing, Comcast, Tax Reform. Bookmark the permalink.